When 4 wheel driving there's nothing like having ice cold drinks and the ability to store meats for an outback BBQ or a camp site meal, sure an ice box will make do but on the longer trips more ice would need to be bought and in some areas there is no ice available, this is where the 12 volt fridge is much better. Car fridges come in many different sizes and vary from brand to brand, also some are fridge freezer combo and others just DC fridge or DC freezer. Sizes can range from the tiny 15liter to the big 90liters+. Fridge freezer combos will have to compartments, one is the freezer and the other is the fridge, these are great but space is lost or limited. The DC fridge or freezer only types can be setup and changed at any time by the push of a bottom to run as a fridge or freezer, simply change the temperature according to your needs. If the 4 wheel drive is your daily driver it can be left on 24/7 (if a dual battery system is powering it), cold drinks and refrigerated foods will always be safe and ready for usage. A thermal bag for the car fridge is a very good idea to use as it will repel some of the ambient temperature helping the power consumption. Thermal bags should be available for almost all brands. 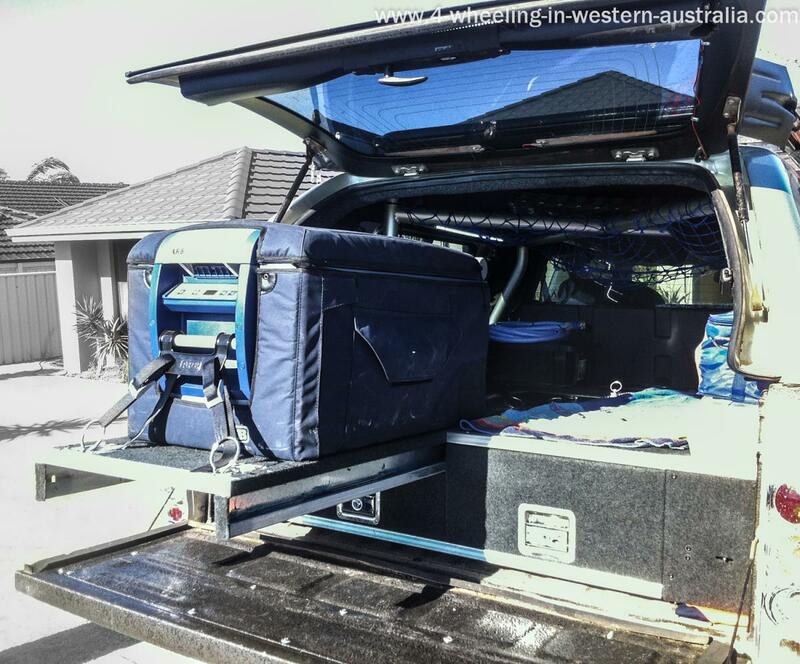 For anyone that has a fridge or even an esky in the back of the 4WD Ute or Wagon, the fridge slide is almost a requirement. Depending on what height the fridge is at and what type of suspension lift is on the 4 wheel drive will depend on which fridge slide will suit best. If fridge slide is mounted on the base of a Ute tub/tray or wagons floor then a regular slide (one that only moves horizontal) will be fine. If fridge slide is mounted on top of a draw system or on a 4inch+ lifted 4WD then a slide with a horizontal and vertical type would be best. They first move horizontal away from the vehicle and then drop/slide down for easy access. Leave DC Fridge And Go To 4 Wheeling In Western Australia.